The SHARES Debates are organized by SHARES in cooperation with SPUI25, an academic centre of the University of Amsterdam, which develops connections between academics, students, alumni, and a larger public outside the university. SPUI25 holds regular lectures, debates and interviews aiming at reflecting on current events and engaging with a heterogenous audience. On 11 June 2012, Professor Daniel Bodansky will give a SHARES lecture on the topic of: ‘The future of the UN climate change regime: options for the Durban platform negotiations’. The Expert Meeting will address the allocation of responsibility in respect of environmental protection. 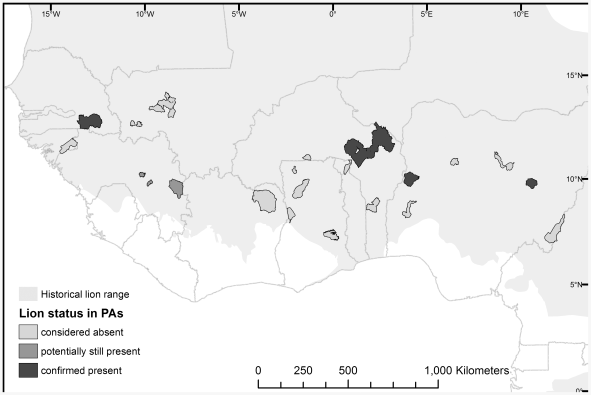 Transboundary environmental harm is the archetypical problem of shared responsibility in that it invites an application of principles of joint and several or proportionate responsibility. But the number of claims that has actually led to the application of such principles is very limited, especially in the context of traditional enforcement mechanisms. Rather, states have laid down in a series of treaties how responsibility for transboundary environmental harm is to be shared. Such arrangements differ for different environmental problems, such as climate change, transboundary air pollution and transboundary movement of hazardous wastes and chemicals. Protecting the Arctic area – a responsibility of many? On 16 December 2013, the fourth SHARES Debate entitled Protecting the Arctic area – a responsibility of the Netherlands? was held in Amsterdam. The panel consisted of three speakers: Louwrens Hacquebord, René Lefeber, and Daniel Simons. André Nollkaemper acted as moderator. This blog post highlights the main parts of the debate. International Law Commission and the topic ‘Protection of the Atmosphere’: Anything new on the table? The International Law Commission (ILC), in its sixty-fifth session (2013) decided to include in its programme a topic entitled ‘Protection of the Atmosphere’ (see here para. 168). The ILC appointed as a Special Rapporteur Mr. Shinya Murase. 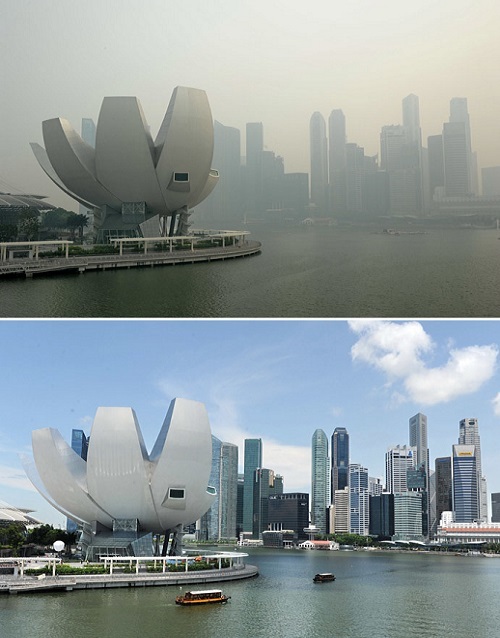 The 2013 Southeast Asia haze – a shared responsibility? What Responsibility over Iconic Marine Living Resources? EU Aviation scheme as a countermeasure against other ICAO member states? The New York Times recently reported that China, the United States and two dozen other countries are looking at coordinated countermeasures against Europe — including putting pressure on European airlines and other industries — if the EU tries to enforce the EU Aviation Directive, that requires airlines to pay for their greenhouse gas emissions. Hong Kong customs officials announced the seizure of smuggled ivory worth $ 2.25 million on a Togolese container. The shipment contained 1,148 elephant tusks and is one of the largest seizures ever made in Hong Kong. The seizure is the fifth ivory seizure in Hong Kong since last October, all originating in Africa where conservationists say elephant populations are in crisis. According to the wildlife trade monitoring network TRAFFIC, the increasing large-scale shipments indicate the involvement of criminal organizations that smuggle ivory through South-East Asian states to major markets such as China. In Asia, growing affluence has resulted in soaring demand for wildlife products, while enforcement and penalties often remain weak, wildlife experts say. Ethiopia’s unilateral action to construct a dam on the Nile river, with potentially significant impact on water flow in the river, has caused a long-standing dispute between Ethiopia and the other Nile basin states that have been unable to agree on the use of the trans-boundary river and its environment. Ethiopian officials said on Saturday 1 June that an independent panel of experts considering the effects of the dam has concluded that the construction follows international standards and will not significantly affect Egypt and Sudan that have expressed concerns over diminished water shares and the environmental impact of the dam that, upon completion, would be Africa’s largest hydroelectric power plant. All sides have been committed to a negotiated solution, but failing that, the matter could be brought before the ICJ. Eight states (Thailand, China, Kenya, Malaysia, the Philippines, Tanzania, Uganda and Viet Nam) which have been identified as primary source, import and transit countries affected by the illegal trade in ivory, have submitted national action plans to the Secretariat of the Convention on International Trade in Endangered Species of Wild Fauna and Flora (CITES). The plans contain among others specific activities in the areas of international and national enforcement, legislation and regulations, and were requested by the CITES Standing Committee because of the huge rise in the number of elephants that were poached for their ivory. The eight countries that have submitted action plans are urged to take urgent measures to put their plans into practice before July 2014, when the CITES Standing Committee will review their implementation. The Secretariat will then provide the Standing Committee with its evaluation of the activities that have been conducted by each state, and will recommend potential further measures to intensify efforts in critical areas. Two additional groups of states which need to adopt measures shortly have also been identified. 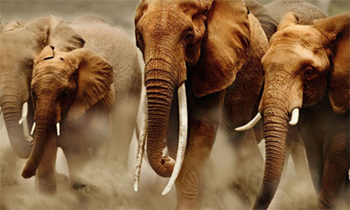 First, Cameroon, the Republic of Congo, the Democratic Republic of the Congo, Ethiopia, Egypt, Gabon, Mozambique and Nigeria will need to develop and begin implementing similar national action plans in order to combat illegal trade in ivory this year. Second, the Secretariat will be seeking clarification from Angola, Cambodia, Laos, Japan, Qatar and the United Arab Emirates on how they control trade in ivory. For some background on this topic, see here. At the Conference of the Parties of the of the Convention on the Trade in Endangered Species of Wild Fauna and Flora (CITES), eight states (Uganda, Kenya, Tanzania, Vietnam, Malaysia, Philippines, Thailand and China) were identified as key to the trade in ivory and were threatened with trade sanctions if they do not address failures in protection against poaching, and failures in seizing illegal ivory trade. Six of these states are states which most ivory passes through (Tanzania, Kenya, Uganda, Malaysia, Philippines and Vietnam), the other two are the states were most ivory is bought (China and Thailand). The news of threat of trade sanctions coincides with the publication of a report that details the increase in levels of poaching. The report concludes that illicit ivory trade activity and the weight of ivory behind this trade has more than doubled since 2007, and is over three times greater than it was in 1998. The United States National Oceanic and Atmospheric Administration (NOAA) has submitted a Congressionally mandated report identifying ten nations whose fishing vessels engaged in illegal, unreported, and unregulated (IUU) fishing in 2011 or 2012. The 10 states are Colombia, Ecuador, Ghana, Italy, Mexico, Panama, the Republic of Korea, Spain, Tanzania, and Venezuela. All ten nations identified in this year’s report had vessels that did not comply in 2011 and/or 2012 with conservation and management measures required under a regional fishery management organisation to which the US is a party. The report is part of the efforts of the United States to ensure that the US fishing industry is not undermined by unsustainable or illegal activities. The US will soon start consultations with each of the 10 nations to encourage them to take action to address IUU fishing and by-catch by their fishermen. The International Rivers Network published a report examining the legality of the controversial Xayaburi Hydropower Project undertaken by Laos on the Lower Mekong River. While Cambodia and Vietnam have voiced concerns about the project’s transboundary impacts, Thailand has financed the project and agreed to purchase its electricity. The states parties to the Framework Convention for the Protection of the Marine Environment of the Caspian Sea (Azerbaijan, Iran, Russia, Kazakhstan and Turkmenistan) adopted a Protocol for the Protection of the Caspian Sea against Pollution from Land-based Sources and Activities during the fourth Conference of the Parties (COP 4). According to the United Nations Environment Programme (UNEP), the Protocol will further enhance the co-operation on environmental matters in the region. The New York Times reported that global emissions of carbon dioxide (CO2, the most significant heat-trapping gas in the atmosphere) were at a record level in 2011. Researchers believe the global emissions of carbon dioxide are likely to hit record again in 2012, because efforts to limit emissions seem to be failing. Due to continued increase of global emissions, the objective of limiting global warming is difficult to achieve. Rich countries are to blame for climate change and should take the lead in forging a global climate pact by 2015, a deadline that “must be met,” the head of the United Nations said on 5 December 2012. In addition, he said that it was “only fair and reasonable that the developed world should bear most of the responsibility” in fighting the gradual warming of the planet. The comments were made as the Doha Climate Change Conference draws to a close on Friday 7 December 2012. It opened on Monday 26 November 2012 in Doha, Qatar to produce agreement on an extension of the Kyoto Protocol, which expires later this year. On 8 September 2012, the United States and Russia signed a Memorandum of Understanding for Cooperation in Antarctica and issued Joint Statements on Pursuing a Transboundary Area of Shared Beringian Heritage and on Enhancing Interregional Cooperation. The two countries already conduct some extensive and diverse scientific activities in Antarctica, and are among the original architects and signatories of the 1959 Antarctic Treaty. The Government of Papua New Guinea has given the Canadian firm ‘Nautilus Minerals’ a 20-year licence to begin their so-called ‘Solwara 1’ project. This is the first commercial deep seabed mining project in the world, aiming to extract gold and copper from the seafloor beneath the Bismarck Sea. Locals and environmental activists have objected in view of the environmental impacts. Twenty years after the landmark Earth Summit, world leaders are meeting again in Rio de Janeiro to discuss issues of sustainable development from 20 to 22 June. Negotiators only agreed yesterday on a text for a final declaration to be signed later this week. On 13 June 2012, the fisheries ministers of the European Union (EU) agreed to ban the dumping of healthy and edible fish catches back into the sea, which is done by fishermen to remain within the EU quotas and to maximise profits. However, the starting dates of phasing in the ban for different species are subject to further negotiations. Environmental campaigners urged European politicians to stop this wasteful practice. The agreed reforms, changing the Common Fisheries Policy (CFP) to eliminate the discards, are seen as an important step towards a sustainable fisheries policy. However, experts fear that these measures will come too late for certain fish stocks. Source: The Guardian | Will the fishing discard deal be enough to save fish stocks? After several states have criticised the European Union Emissions Trading Scheme (ETS), now two airlines from India and eight airlines from China have refused to report to the European Union (EU) the amount of carbon dioxide they have emitted last year. The ETS is applied to all airlines that use airports in the EU since January, aiming to charge carriers for the pollution they cause. Many states have criticised this system, on the ground that the EU would lack the power to enforce their laws on non-European carriers, or on the ground that the carbon tax which is imposed by the EU, is a “disguised” trade measure, taken unilaterally in the name of combatting climate change. Over-consumption and over-population pose a threat to the future health of our planet, because they both threaten the biodiversity of the Earth. The Earth is put under severe stress according to the ‘Living Planet Report’, a biennial survey on the Earth’s health of The World Wildlife Fund (WWF). The report, appearing ahead of the June Rio plus 20 Summit, documents that since 1970, on an average, a 30% decrease in biodiversity has been noted, with even a 60% decrease in tropical regions. This decrease is notably more rapid in lower income countries. Negotiations on the amount of money European Union (EU) member states will contribute to the ‘Green Climate Fund’ after 2012 (for the period 2013-2020) have been unsuccessful so far. In light of the economic crisis, some of the EU member states argue against any firm commitment to contribute to the Climate Fund after 2012. The Green Climate Fund was established by international agreement within the framework of the UN Framework Convention on Climate Change (UNFCCC), aiming to provide financial support for developing States to cope with the effects of climate change. Although the aim of this fund was to raise up to 100 billion dollars a year by 2020, the EU member states have merely given a clear pledge for funding until the end of 2012. The leader of the European Parliament’s delegation to the Rio de Janeiro summit on sustainable development has argued for the establishment of an International Court to enforce agreements on the natural environment. He submits that ‘like human rights, the right to a clean natural environment and the preservation of plants and animal life is universal. Only by enforcing these rights internationally can we transform those fine words on sustainability into deeds.’ The article does not clarify whether this plea reflects the Parliament’s institutional position. An order of the Supreme Court of India has instructed the Indian government to proceed with a, long delayed, plan to link more than 30 rivers and divert the waters to areas that are water-stressed. If the project materializes it could have significant impact on Bangladesh, a downstream state. The project could benefit from the building of dams and reservoirs both in Nepal and/or Bhutan, two upstream states. Bangladeshi and Nepalese authorities claim that they have not been consulted with as yet while Bhutan claims that it has not appraised the project. In an op-ed in the New York Times, Thomas L. Friedman explains how the Arab spring was driven not only by political and economic stresses, but, less visibly, by environmental, population and climate stresses as well. He notes: ´If we focus only on the former and not the latter, we will never be able to help stabilize these societies´. The New York Times reports that China, the United States and two dozen other countries are looking at coordinated countermeasures against Europe — including putting pressure on European airlines and other industries — if Europe tries to enforce a law requiring airlines to pay for their greenhouse gas emissions. After that deliberations on a possible General Assembly resolution began in New York, the President of Palau, Johnson Toribiong, said that actions by individual States are not enough to ‘stem the rising tides or the flood of global emissions’ and that an Advisory Opinion from the International Court of Justice is an appropriate recourse that ‘will give us the guidance we need on what all states must do.’ In the view of the Palauan President ‘the small island states are least responsible’. Palau also intends ‘to raise the consciousness of the world community to the issue of responsibility’ in the process. Palau had announced plans in September to seek an Advisory Opinion on whether countries have a legal responsibility to ensure that any activities on their territory that emit greenhouse gases do not harm other states. One day after the end of the UN Climate Talks in Durban, Canada declared that it would make use of its right to withdraw from the Kyoto Protocol. Under the provisions of the Kyoto Protocol, Canada must formally give notice of its intention to withdraw by the end of this year or else face penalties after 2012, which could amount up to 14 billion USD. On Sunday 11 December 2011, the 17th Conference under the UN Framework Convention on Climate Change ended with an agreement to work on a new global treaty in coming years and to establish a new climate fund. Evidence has emerged of unregulated tuna fishing in Libyan waters during this year’s conflict. EU boats are implicated in the fishing, which the European Commission believes could be judged illegal. The issue led to heated discussion at the recent Istanbul meeting of the International Commission for the Conservation of Atlantic Tunas (ICCAT), where it was decided that research will be carried out into the events. A Special Report on Managing the Risks of Extreme Events and Disasters to Advance Climate Change Adaptation by the Intergovernmental Panel on Climate Change (IPCC), the findings of which were presented at the IPCC’s 34th Session in Kampala, Uganda, says that the risk from extreme weather events is likely to increase if the world continues to warm. IPCC scientists also consider it “very likely” that emissions had led to an increase in daily maximum temperatures. The report further adds that emissions caused some regions to experience longer and more intense droughts. United Nations Secretary-General Ban Ki-moon on Monday urged governments in rich nations to work around troubled economic times and scale up donations to a global climate change fund that is at risk of becoming an “empty shell”. Australia and Norway put forth a new proposal to secure a global agreement on climate change by 2015 amid deep divisions between rich and poor countries over the ways to combat global warming. Given the need for cooperation in order to address the threats caused by climate change, Anna Spain argues that climate change demands new ways of understanding our approaches to resolving international disputes. This challenge is briefly explored in a blogpost on IntLawGrrls and more elaborately discussed in her article “Beyond Adjudication: Resolving International Resource Disputes in an Era of Climate Change“. Forum: Is Extreme Weather Linked to Global Warming? 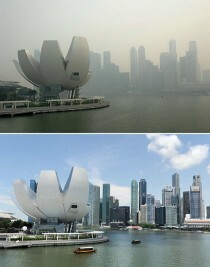 Climate change, and how to share the responsibility for (minimizing) it, is a hot topic, but also a problematic topic. The complex chains of causation make it hard, if not impossible, to establish responsibility and liability for the harms and effects associated with climate change. On the Yale Environment 360 forum eight leading climate scientists have made a contribution to the current debate on causation that could be of legal relevance as well.